Join us for an all levels yoga practice that will explore rotating themes, always with an emphasis on core control and functional daily movements. Please let your instructor know of any health issues before engaging in this practice. 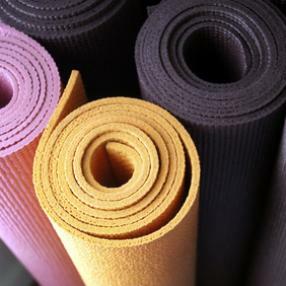 Join UAB's Comprehensive Cancer Center and Suzanne Graham for a flowing sequence of supported yoga postures, breathwork and meditation designed to help manage the side effects and stress of cancer. Restorative Yoga is a gentle, relaxing practice that provides an effective way to: reduce stress, manage treatment side effects, relieve pain, regain health and attain peace of mind. This class is appropriate for all levels and no prior yoga experience is needed. All cancer patients and survivors, with physician's approval, are welcomed. A delicious fusion of yin-yoga (deep long holds of postures which emphasize a balance between strength and flexibility) and restorative postures which help you sink deeper into your personal practice, space and healing learning to become more comfortable in your body and resting in stillness. Sound healing and yoga nidra will also be frequently used in savasana to promote total relaxation!